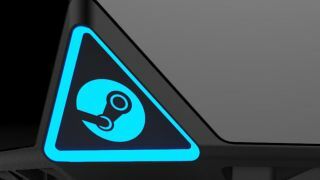 If you're keen to get into PC gaming, then Steam is the best place for you to hunt for new games. That's because there are more than 23,000 available through the platform (and counting). One of the biggest advantages that Steam has is that it lets you buy a game, and install it as many times as you like on as many devices as you own. You’ll also have access to automatic updates, too, so you don’t need to go through the work of redownloading and checking to see if everything’s updated. The only problem is that there’s too much on Steam these days. That’s not the worst problem to have, but it does mean that you can get lost in Steam’s giant labyrinth of games and become tempted by its frequent sales, ending up with a stack of games you’ll probably never get around to playing. Luckily, we here at TechRadar have your back. We’ve gathered up our favorite Steam games, including recent releases and golden oldies. We update this list regularly, so be sure to come back soon for more suggestions. Some of the best steam games are those that couldn’t really exist anywhere else. Complicated RPGs and strategy games that need the unique features of a gaming PC. And, Kenshi is a perfect example. Taking inspiration from the old Mount & Blade games, Kenshi is a sandbox, squad-based RPG where you make your own story. You’re dropped in the middle of a massive world – think Elder Scrolls: Daggerfall huge – and you’re not limited by any of the gameplay systems. You can simply build a home for yourself, or set off on an epic adventure. You’re going to get hours upon hours upon hours of gameplay out of Kenshi, because the world is the game, not just a setting. This indie smash arrived in 2017, but as it recently won a 'best game' BAFTA award, it’s time to give it another plug. What Remains of Edith Finch is a narrative-led adventure in which you walk, first-person style, around as Edith Finch, exploring the house in which you grew up. You look over the preserved relics of dead family members and are sucked into vignettes that tell the stories of how various Finches died. This sounds grim, we get it. However, its charming style and magical realism tilt make What Remains of Edith Finch involving and touching rather than depressing. It plays out a little like an interactive movie. You can’t fail as such, aside from getting lost, and the entire experience lasts 2-3 hours rather than 20. Don’t buy this if you’re going to feel short-changed by its length, but if you’ve played and enjoyed Firewatch, Everybody’s Gone to the Rapture or Gone Home, you’ll love What Remains of Edith Finch. The first Ni No Kuni game was a collaboration with Japanese animation masters Studio Ghibli. Ni No Kuni II is not, but retains the same charming art style. It also changes the fighting mechanics. Instead of training up avatars to fight for you, Ni No Kuni II has a fun real-time battle system. You command three fighters with fast, slow and magic attacks, and the ability to dodge. There’s a more action-packed feel this time. It’s not all about action, though. While Ni No Kuni II is an action-adventure RPG, you also build up a kingdom, which plays a role in earning bonuses for your characters. This part is surprisingly moreish. The story is more conventional than that of the first game, which might be down to Studio Ghibli’s limited involvement. However, there’s plenty of fantasy fuel and it’s more involving than your average game. Not every top steam game is an epic open world title that would sell for $60 on PS4 and Xbox One. Into the Breach is an elegant sci-fi strategy blast you can play on your lunch break at work. That may sound like a mind-bending premise, but it actually proves the plot doesn’t matter too much here. We know Earth will come out tops, it’s just a case of how. Each encounter takes in an 8x8 block grid, your battlefield. Play unfolds in turns, and your mechs have to stop aliens from destroying too many of the field’s buildings and outposts. It has the tactical purity of chess. As you play you can upgrade your mechs to improve your chances. Like FTL, Into the Breach is moreish, smart and deceptively deep. Some screenshots make Surviving Mars look like The Sims: Red Planet edition. However it’s closer to Sim City meets The Martian. You build an outpost on a patch of Mars, and have to keep it running to avoid your colonists dying in on the planet’s harsh surface. It’s harder than it sounds. Mis-managing resources in Sim City or Civilization may make your inhabitants angry, or lower your income. But in Surviving Mars it can cause a chain reaction that sees life support systems fail. You’ll hear “a colonist has died”, and be left scrambling to fix the problem before other inhabitants start dying like bubbles popping as they touch the ground. There’s work to be done on Surviving Mars’s interface but its survivalist approach to “city” building is compelling. After the massively-multiplayer Final Fantasy XIV, Square Enix has finally turned back to the series’s single player roots with Final Fantasy XV. It came to PS4 in late 2016 but was only ported to PC in March 2018. However, you do get all the DLC released on consoles and, if your PC is beefy enough, better frame rates. Final Fantasy XV is a little different to the FF games of old. You travel around an open world packed with Americana-style buildings, all your companions are human and the combat plays out in real time, not as turns. However, you can tell this is a Final Fantasy game just by watching a 15-second clip of it in action. The PC tends to get associated with the kind of games you sit down at for hours. Until your eyes are red and part of you begins to regret your life choices. But it doesn’t have to be that way. You can play Descenders in quick blasts. If you can drag yourself away from its moreish-ness, anyway. You’re a downhill free rider who has to get down procedurally generated courses with as much style as possible, prefably using a gamepad. It might remind you of the Tony Hawk games, when they were good, or snowboard console classic SSX. The use of generated “tracks” means you can’t master courses, but it’s the mastery of the bike’s physics you’re aiming for anyway. A career mode pits you against a series of courses in the same style of environment, each with objectives. Finish the “boss course” and you unlock a new terrain. But you have limited lives for the whole run. A mix of mobile game style and unforgiving old-school progression mechanics gives Descenders a fresh feel. You drive a big 18 wheeler-style truck over the long highways of the US, delivering cargo from A to B. Breaking the traffic codes doesn’t end in a GTA-style police chase, just a fine. This is the sort of game you can put on like a cosy slipper after a long day at work. There’s a business side to it too, though. At the start you’re a lowly contractor, but earn enough money and you can build your own shipping empire. PC gamers who have been playing since the 90s will remember all the fuss made about the Baldur’s Gate titles. Some of their biggest fans will get teary telling you about the memories of their favourite side characters. Isometric role-playing games like Baldur’s Gate don’t cut it in the AAA world anymore, but Pillars of Eternity brings back their essence for the Steam crowd. This is a difficult, slightly throwback-flavoured RPG where you control a band of classic fantasy-style adventurers. It’s made by Obsidian, the team behind Fallout: New Vegas. Pillars of Eternity II is on the horizon too. If you like your RPGs fantasy-themed, also consider Torment: Tides of Numenera. Another throwback to a style of game that has disappeared, Legend of Grimrock 2 is a dungeon crawler where you move in blocks, not freely. Why would you want that? It changes your relationship with the environment, making it feel more like an intricate puzzle than just an open world a texture artist has been let loose on. When it comes to in-vogue games, few titles continue to capture the zeitgeist (and fill it full of bullet holes) like PlayerUnknown’s Battlegrounds. It may have one of the worst names ever, but that hasn’t stopped PUBG from putting the ‘battle royale’ subgenre on the map and making itself into a phenomenon. Sure, there’s a lot of hype still surrounding it, but the game behind all the coverage and Twitch fascination is still one of the most addictive on Steam. That simple premise - parachute into a map with no gear, scavenge for weapons and armour, then fight for survival with a single life in a map that continually shrinks - is still gripping, even if it has a few too many bugs. Whether you’re teaming up with friends or braving its maps alone, PUBG remains one of the most fun shooters on the market right now. One of the most recent releases on this list, Kingdom Come: Deliverance offers an experience that’s both warmly familiar and deeply alien. Set in a fictional Medieval Europe, it’s a first-person RPG where dialogue choices shape your world as much as your ability to problem solve and your skills in melee combat. It’s a game of incredible freedom, enabling you to carve a path through its Dark Ages setting however you see fit. You might get off your face on schnapps and get in a fight with the town drunk; you might start filling your pockets with the gold of unsuspecting townsfolk, Thief-style or stain your blade with blood in the battlefield. Part Elder Scrolls, part Dark Souls, part something else entirely, it’s an action-RPG that punishes as much as it empowers. It also runs best on PC (with the right specs, naturally) so get it on the download pronto. Who knew, way back in 2015, that a Tom Clancy game would become one of the industry’s biggest success stories. But here we are, in 2018, with a game that boasts over 25 million registered players and its third year of consecutive content updates and premium bells and whistles. It’s one of those success stories that keeps on succeeding, and for one very important reason: it’s fun as hell to play. Dialling back the Rainbow Six formula to its roots - two teams fight in the same map, one protecting an objective while the other attack and fights their way in - no two matches in Siege are ever the same. Barricading doors, breaching through walls, blasting through ceilings and building an operator that’s attuned to your playstyle. It might not be groundbreaking, but add in the limited time Outbreak mode (think Siege plus zombies) and you’ve got one of Steam’s most complete packages. Coming from the indie team at gave us TowerFall and TowerFall Ascension comes one of the most rewarding pixel platformers in years. As you climb the titular mountain, flame-haired heroine Madeline will battle her innermost demons as much as the harsh and dangerous conditions around her. In its simplest form, Celeste is a tight, 2D, twitch-style platformer, but in reality it’s one of the memorable games we’ve played in many years. As poignant in narrative as it is unforgiving in mechanics, Celeste comes with over 700 ‘scenes’ to traverse, countless secrets to uncover and a story that will grip you as much as the muscle-memory building formula of its platforming. For a game built around the simple mechanics of jump, air-dash and climb, there’s an incredible amount of depth to be found as you claw your way to the summit in more ways that one. When Divinity: Original Sin 2 arrived in 2017, it had quite the task ahead of it: living up to the legacy of its predecessor, which just so happened to be one of the most accomplished RPGs of all time. Then what does developer Larian Studios do? It only goes and follows it up with one of the most essential additions to the genre in years. Am enchanting fantasy world, a deep and complicated combat model and one of the most gripping stories you’ll experience outside of a 1,000 page tome. The big selling point, and the main ingredient of Divinity: Original Sin 2’s secret sauce, is the complexity of its combat. You control a party of characters alongside your own custom avatar, and you can utilise each one individually in battle. With countless skills and attributes to mix and match, the breadth of tactics available makes this an imposing yet deeply rewarding way to test your RPG abilities. The grand and operatic strategy genre has produced some true classics on PC, experiences consoles have consistently struggled and failed to emulate. From Crusader Kings to Europa Universalis, these are games with tactics and guile expected in bucket loads from the off. Well, it just so happens the developer of those very games has taken that deeply immersive concept and transported it to the dark ocean of space. Enter Stellaris, an evolution of the genre that takes the space exploration of EVE Online and Mass Effect and hits the hyperdrive button. You’ll travel through myriad procedural galaxies, filled with thousands of planets and countless alien species, each one possessing unique traits, economies and social strata. Whether it’s the power (and consistent balancing act) of interstellar diplomacy or the deep customisation of starship designs, there’s a wealth of sci-fi lore and mechanics to delve into with Stellaris. By far one of the oldest games on the list - well, that is if you consider 2013 old - Valve’s MOBA (multiplayer online battle arena) is still one of the most addictive titles on Steam. It’s also the only game on this list that’s free-to-play, so you don’t even need to have a healthy bank balance to enjoy its moreish battles. Valve has been consistently updating and overhauling the game since launch, making it one of the most evolved MOBAs on the market. If you’ve never played it before, it’s a simple yet intoxicating setup: two teams of five players face off in a large map. Each one is defending a base with an ‘Ancient; inside that must be protected at all costs. Find your opponent’s base and raze it to the ground to win. What plays are are brilliant hero v hero showdowns, brutal ambushes, tactical plays and nonstop action. Run and gun platformers have carved a niche out for themselves on mobile, but they’re a rarity on PC. Thankfully, this one was built to be a Microsoft exclusive with Xbox One in mind and the result is one of the most unique gaming experiences you’ll ever have. Designed to capture the look and atmosphere of 1930s cartoons, Cuphead places you in the shoes of the titular hero and tasks you with battling across three distinct words and bosses that will capture your imagination with their ingenuity that crush your resolve with their difficulty. Recommending a notoriously tough game might sound counter-intuitive, but the steep difficulty curve is part of its charm. With a unique soundtrack and those standout visuals at your side you’ll earn every stage clearance like piece of territory in a war, each victory feeling that bit more rewarding. Brutal and beautiful in equal measure, Cuphead is a must have Steam title. Another relatively fresh release on this list, Subnautica is already making waves (pardon the pun) despite having only dropped in January of this year. A survival game set in the depths of an ocean on an alien world, it’s unique twist on the classic template makes for a game that’s both captivating to watch and challenging in its many interconnected mechanics. You’ll explore shallow reefs, dangerous trenches on the seabed and everything in between, all the while managing your precious oxygen supply. Oh, and there’s an entire ecosystem of alien marine life to contend with. Plenty of these fishy and mammalian critters want to add you to their menu, so you’ll need to outsmart and avoid them while searching for resources to build new equipment and tools. Like all the best survival games, the very best materials lie in the most dangerous of places. Dare you swim deep enough to find them? With so many multiplayer shooters getting a focus in this feature, it seemed high time to pay homage to one of the best single-player FPS games ever. MachineGames gave Wolfenstein a bloody, alt-history revival in the form of 2014’s The New Order, so it had its work cut out for it when it came to bettering all that visceral Nazi slaying. Then along comes 2017’s The New Colossus, dialling up the violence and the depth of storytelling it would make most Call Of Duty titles look at the floor with embarrassment. It’s not often a franchise as iconic as Resident Evil gets a new lease of life - especially when you consider the zomb-loving licence had descended into a lifeless farce over the past decade – but here we are with a genuinely frightening horror game with the words ‘Resident Evil’ in the title. What a world, eh? While us PC folk aren’t allowed to scare ourselves half to death in VR yet (RE7 is a PSVR at the moment), that doesn’t mean it’s any less terrifying. Dropping the third-person perspective that’s felt tired and rote for many a year, RE7 embraces the first-person view that’s helped Outlast and the like re-energize the horror genre, and boy does it make for one chilling 8-10 hour scare fest. With Capcom’s big budget, a creepy swamp setting (honestly, just go with it) and a storyline that feeds back into the series’ winding mythology, you’d be crazy not to add this to your Steam library. How could we put together a list of the games to play on Steam and not include the latest offering from the master of turn-based strategy and tactical simulation? The Civilization series has been through many a form over the years, but entry number six takes all the best bits from those previous incarnations, smoothes off the edges and serves up one of the most rewarding turn-based video games ever made. There’s nothing quite like building a nation from its fledgling roots and nurturing it into a cultural powerhouse, and Civilization VI gives you more freedom and control than ever. Removing the pre-set paths that hampered the still stellar Civ V, Civ VI transforms into a landscape that rewards plucky explorers and confident conquerors with the opportunity to expand their budding society with new technologies and alliances. Sid Meier’s name alone is part of PC gaming’s lofty heritage, so owning this little doozy is a no-brainer. Undertale is one of those games that stays with you. A work of digital art whose charm and creativity never fail to lose their edge, regardless of how many times you play it through. And considering just how many innocuous JRPGs are out there right now, that’s a pretty impressive feat in unto itself. So why is Undertale so brilliant? It takes all of the best elements from the ever-evolving RPG genre and creates a world built on choice, consequence and compassion. As a child dropped into an underground world filled with terrors, you’ll have to face many a monster to make it home. How you face them, and what choices you make, define your journey. And its Telltale-esque consequence system doesn’t just extend to dialogue choices – you can choose to spare monsters after a fight, forging potential vital alliances for later in the game. You can even end fights by telling your opponent jokes. It’s a game of such warm and affable quality you’d almost believe it was a JRPG from the earliest heydey of the genre. For years, one game sat atop the dark and misty mountain of action-RPGs. Skyrim was its name, and no other franchise, be it Dragon Age or Dark Souls, could even come to close to unseating its cast-iron grip upon the genre. Then along came Geralt of Rivia, riding atop The Witcher 3: Wild Hunt with a confident swagger, ready to give The Elder Scrolls a good thrashing. If you’re looking for a game that strikes a perfect balance between length of play (you could easily spend 100+ hours across its incredibly diverse map – one that’s a good 20% bigger than poor old Skyrim) and sheer quality, The Witcher 3 is a must. There are just so many virtues The Witcher 3 has to its name – brilliant writing, unforgettable quests, genuinely challenging beasts and a pair of DLC expansions (Hearts of Stone, and Blood and Wine) make this one of the best games of this and any other generation. Inside will break you heart. Let that be your warning going in. Don’t see such words as a deterrent, but rather as a mystery to be uncovered scene by heart-wrenching scene. Created by the same studio that made the wonderful 2.5D platformer Limbo – you know, the one about a little boy stuck in a nightmare world where a giant spider chases him endlessly – it should come as a huge shock to learn that Inside will leave you just as tearful as its predecessor. Thing is, Inside is a brilliant piece of art. Without a scrap of dialogue, you’ll explore a world in a similar platforming vein to Limbo, overcoming various ingenious environmental puzzles and evading both the flashlights of an oppressive government and the shadow of a conspiracy that’s clearly not going to end well. But it’s worth every second. There’s a reason it won many a GOTY award in 2016, so you’d be a fool not to add this to Steam library. Just remember to pack a few tissues. Once upon a time there was a little game on PlayStation 3 called Supersonic Acrobatic Rocket-Powered Battle-Cars. It was all about using remote control-esque cars to knock a giant football around a makeshift pitch. Thing is, no one played it and the game slowly faded into obscurity. Then Rocket League came along, which was basically the same thing, albeit with tweaked physics and a greater focus on multiplayer. One trip into PlayStation 4’s PS Plus lineup later and the game went supernova. And with good reason, too. It’s simple concept just works – it’s a place where skill shines through as you boost your little RC car and hit the motorised equivalent of a bicycle kick. It’s glorious, offering one of the best ways to play online (whether with friends or a bunch of randoms). Come on, who doesn’t want to spend their evening chasing a football with a car? FIFA? Pfft. Portal, back in its day, was a game-changer. Sure, it sounds like we’re filling out boots with hyperbole, but back in 2007 all those portals, companion cubes and sociopathic AIs were blowing our minds on loop. Then Portal 2 came along and made the original look like a crossword puzzle in The Sun. Okay, the first Portal is still amazing, but Portal 2 took a genuinely revolutionary concept and redefined it. Everything in this game works perfectly - the ebb and flow of its story, the growing complexity of the puzzles and the new ways you’re forced to make your mind think with portals. It’s even got Stephen Merchant and JK Simmons in it! Portal 2 manages to take a brilliant recipe and somehow make it even more delicious, sprinkling in all new depths of platforming and puzzle flavour. If you haven’t played it, buy it now. If you have, play it again. Charming indie farming RPG Stardew Valley sees you moving from the bustling city to your grandfather's old, run-down farm near sleepy Pelican Town. It's up to you to uncover the secrets of the mysterious town while growing a thriving farming empire. Stardew Valley's pixelated graphics, unique soundtrack and kooky characters make for a relaxed and fun game which combines elements such as farming simulation, adventure, dating simulation and crafting. Get ready to become emotionally attached because once you step foot in Pelican Town, it's hard to ever leave.